If you want the flexibility to take your music lessons anywhere, your app store has plenty of options. Most have a free lesson and then charge a subscription, although old-school Windows and Mac software like eMedia Music’s instrument training programs are complete by download or disc for about $60. For keyboard instruction on a mobile device, Simply Piano (for Android and iOS) takes a student from finding middle C to playing along with onscreen guides and gamelike animations. The program is free with in-app purchases, and you can start the lessons with an onscreen keyboard. Eventually, though, you’ll need to get your own external keyboard; the software provides performance feedback by listening to you play. 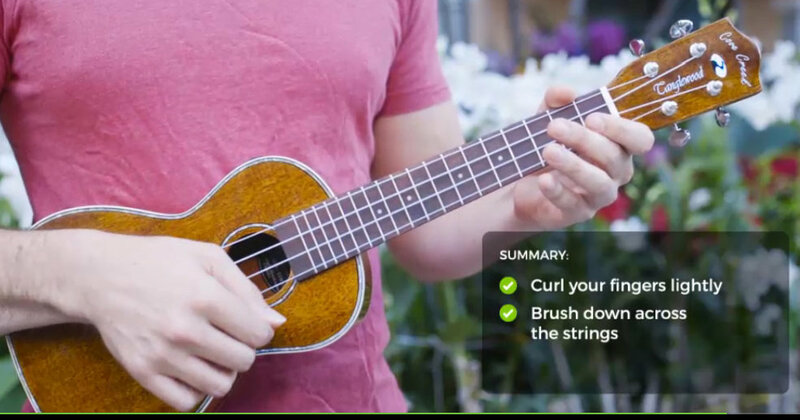 Yousician (for Android, iOS and web) uses videos and animations to teach guitar, bass, piano, ukulele or voice; monthly or annual plans start at about $20 a month. Fender Play for Android and iOS ($10 a month) has similar instructional videos with “bite-size” lessons for learning guitar, bass or ukulele. And, in addition to apps for specific instruments, you can find instruction for specialty styles — like Tunefox for bluegrass. You can get more structured video lessons from the pros on the ArtistWorks site. For as little as $24 a month, for example, you can learn French horn from William Caballero of the Pittsburgh Symphony Orchestra or mandolin from Mike Marshall, a longtime recording artist. Most recorded instruction demonstrates how to play the instrument through video or animation. You may also get chord diagrams or tablature (notation that shows where your fingers go on the strings) as a reference. But if you want to study music theory, train your ear or learn how to read music, search for an appropriate app. Cuomo Campaigns for Fellow Democrats and Some Ask: What’s Up His Sleeve?